U23 Vietnam kicker Nguyen Quang Hai received an attractive offer from Japan, instead of the invitation to grow, charm from the Thai League. Nothing surprised Quang Hai became the name of U23 Vietnam many foreign club sought, inviting the most, since the outburst with runner U23 Asia 2018 From Thailand, the Thai League-run SCG Muangthong United offered a loan to Quang Hai 1 year to Hanoi FC. The Thai League, through the close relationship SCG-sponsors for Hanoi FC and SCG Muangthong United, want to impact the Hanoi FC leaders to borrow the left foot of this good faith. Quang Hai was seen replacing Chanathip which was not filled, after "Messi Thai" to play in the J-League from the middle of the previous season. Of course, the salary for Quang Hai if accepted to play in the Thai League class A, better than the Thai player, is estimated at nearly $ 30,000 per month. Before SCG Muangthong United, Hai "child" has also caught the eye of Buriram United. 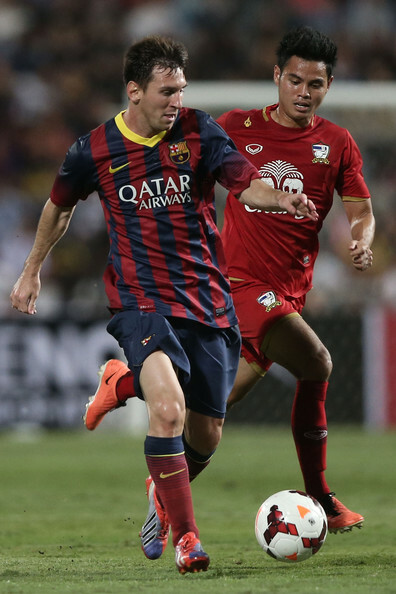 League champion Thai - League Quang Hai from the moment the midfielder has not shone in the U23 Asian Cup. Buriram United invited Hai to play in the impressive U23 Vietnam at the I-mobile in the M150 Cup. Because not convinced Hanoi FC released Quang Hai, Buriram United moved to recruit Hoang Vu Samson. Quang Hai's value can be doubled, tripling from 2019, once the Thai-League ties up for South East Asian players to play as a Thai player. This season, although registered two players in Asia and Southeast Asia, but on the pitch only to play 1. In addition to Thailand, Hanoi FC also "not responding" the invitation, request to transfer Quang Hai from the stork. However, an offer from Japan to host the yard of Hang Dieu is in a state of embarrassment, when Tokushima Vortis offers an invitation to "ransom" Quang Hai. The J-League 2 is very good to bring the children to Japan to play football, with the transfer fee and attractive salary, especially the guarantee to midfielder shine with U23 Vietnam is often played. Do not sell because you want to sharpen the "big star"
Quang Hai received great attention from foreign clubs that showed the attraction from the midfield talent. Hanoi FC chairman Nguyen Quoc Hoi also did not hide his ability, Hanoi FC transfer Quang Hai, this opportunity for the midfielder to play abroad. However, at this time, the home team of yard Do not have the intention to release Quang Hai to any team, even if to ignore the charm of ... a lot of money. "We do not intend to transfer Quang Hai," said Hoi, "He has the potential, just shine with U23 Vietnam, but to say anything, Hai is still young players. Accumulate Quang Hai this time is very valuable, but we want him to become a real star, not just budding as now. " Keeping Quang Hai, Hanoi FC want his young star to contribute, reward for what the club has invested in training in the past 10 years. Most importantly, like Chanathip can play the ball, shining in the J-League now, Hanoi FC want to be more carefully crafted, perfecting the skills before going to the sea. great. "Quang Hai is probably abroad to play football," said the club. "There is something for the club and the sea to choose the best time for him to ring the bell." This time is not appropriate, and we have to very alert to Hai can be forged, developed as expected. "เราไม่มีความตั้งใจจะปล่อยกวางไห่ไป เขามีศักยภาพอย่างที่เพิ่งแสดงออกมากับ U23 เวียดนาม แต่เขาเองอายุยังน้อย เวลาที่เหลือของเขามีค่ามาก เราต้องการปั้นให้เขาเป็นนักเตะที่ยิ่งใหญ่ ไม่ใช่แค่ดาวรุ่งอย่างทุกวันนี้"